The popularity of Ford’s F250 Super Duty does not come as much of a surprise. Ford offers an incredible number of options for its Super Duty line. 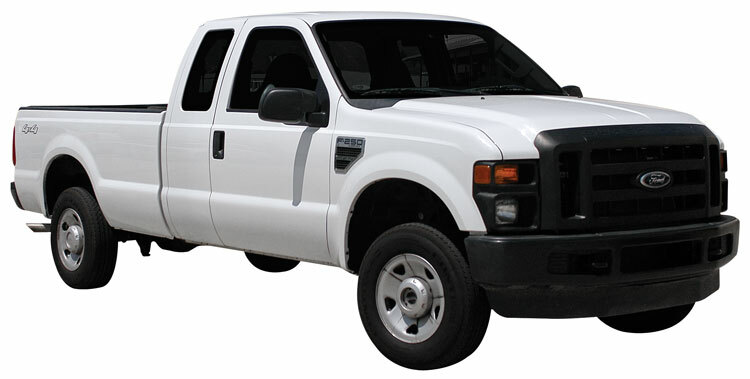 This means that the F250 can be equipped as a hard working fleet vehicle, or a fully loaded luxury hauler. Whatever the owner’s needs are, the F250 Super Duty is sure to satisfy. After all, the F250 can handle colossal payloads while still being easy and comfortable to drive. To add even more power and driving ease for those hefty loads, owners of the 2007, 2008, 2009 and 2010 Ford F250 (F-250) can add K&N’s performance air intake system 77-2577KTK. With the addition of K&N's new Performance Air Intake System (77-2577KTK), F250 owners can realize a gain of nearly 14 extra horsepower. K&N's Research and Development Department tested a 2008 Ford F250 Super Duty 5.4 liter V8 on our in-house dynamometer. Results showed horsepower gains across the RPM range with an impressive 13.93 horsepower gain @ 4077 RPM at the wheels! 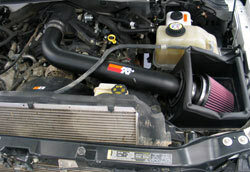 K&N’s 77-2577KTK air intake system gives F250 Super Duty 5.4 liter V8 owners the power they are craving. 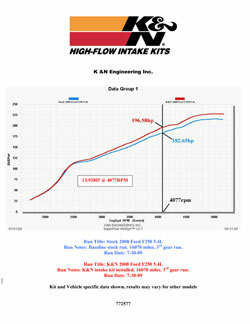 K&N intakes are designed to dramatically reduce intake restriction as they smooth and straighten airflow. K&N cold air intakes completely replace the factory air intake assembly with an aerodynamically engineered tube and an oversized conical air filter. 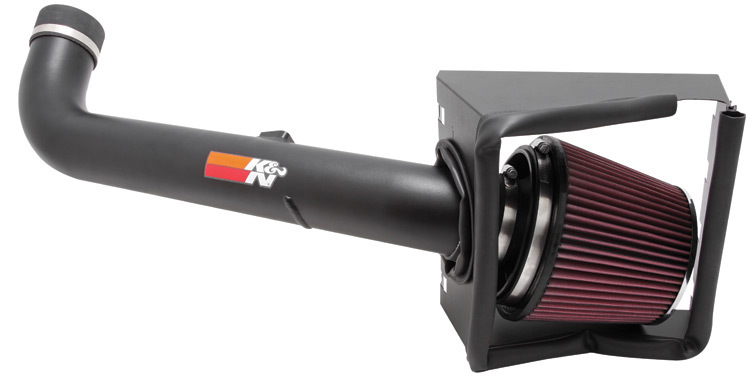 With a K&N Performance Air Intake System, consumers can count on increased acceleration and horsepower whether towing a toy hauler trailer, or heading to the job site. This air intake system uses a conical shaped chrome top high-flow air filter (RC-5173) and powder coated aluminum heat shield in place of the vehicle's stock air box lid. The result is a high-flow air filter that captures harmful particles, provides a large surface area, and has a long service life. This K&N air filter performs for up to 100,000 miles before service is required, depending on driving conditions. Improving the air path between the filter and the engine is the black powder coated, mandrel bent aluminum intake tube. 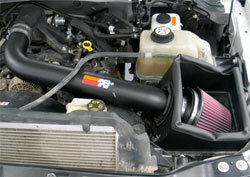 Our black powder coated aluminum intake tubes offer power and a stock appearance. 77-2577KTK takes about 90 minutes or less to install, requires no cutting or drilling, and is covered by the K&N Million Mile Limited Warranty®. For increased protection and style, K&N offers Drycharger® filter wrap number RC-5173DK that can be used in conjunction with 77-2577KTK. Drychargers® are made from a durable polyester material containing uniform micron openings which will stop small dirt particles and repel water; yet add little restriction to the airflow of the filter.